January 9, 1925: Arshile Gorky is admitted to the National Academy of Design in New York City. Gorky enrolled in the New School of Design in New York about the same time as he enrolled at the National Academy. When the New School of Design moved to 145 East Fifty-seventh Street in 1926, Gorky was still registered with the school. His tuition at the New School of Design was probably waived as Gorky served as class monitor and, according to Mark Rothko who was in Gorky's class, also taught at the school. July 1, 1925: Franz Kline moves in with his mother and step-father. Autumn 1925: Clyfford Still studies at the Art Students' League - for forty five minutes. October 1925: Arshile Gorky attends the Grand Central School of Art in New York. According to Stergis, Gorky lived with him for 1 1/2 years - presumably at the studio mentioned earlier on Sixth Avenue at 57th Street. Knoedler Galleries, I think it was, commissioned him to paint five portraits of different women, the cheapest one, I think, was $1,500 or $2,000 to $3,000. At the time they gave him a very nice studio. he painted one of the women. The most beautiful portrait! She had a black velvet dress with green sash thrown over, from one shoulder down. Very beautiful! At the unveiling, they had a lot of family friends. The husband remarked to Gorky, taking him aside, "Would you mind to tone down the lips?" He had a beautiful bright spot on the lips. Gorky threw up his hands. He started swearing in Russian. He pulled the canvas down. And of course, the result? They had advanced a thousand dollars, which he had spent for canvases and so on. He was eating for a change. That money was gone. He never got the balance of it. He had no place to go. I said, "Arshile come to my place, until you find another place." Stergis also recalled that Gorky would visit the Metropolitan Museum to paint the Old Masters. Rothko took Max Weber's still-life class for six of the next seven months at a cost of $13 per month. (RO60) In New York a distant relative, Mrs. Goreff, allowed him to stay in a spare room in her home at 19 West 102nd Street. 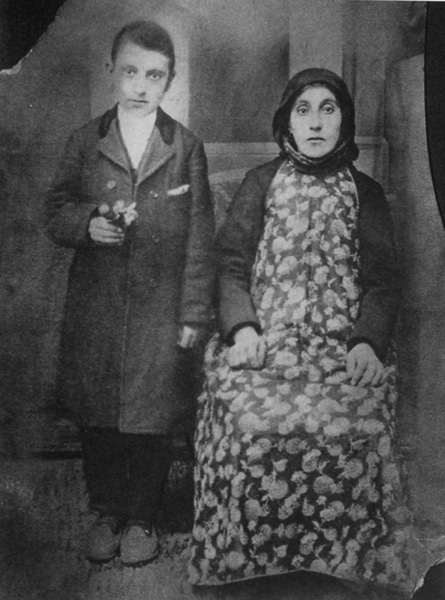 She later recalled that he "played a lot of Bach on our phonograph and painted." (RO56) During this period, Rothko sketched charcoal and pencil drawings of Central Park, Harlem and the El. 1926: The Motherwells move to California. Robert Motherwell and his family lived in Southern California before moving to Northern California. 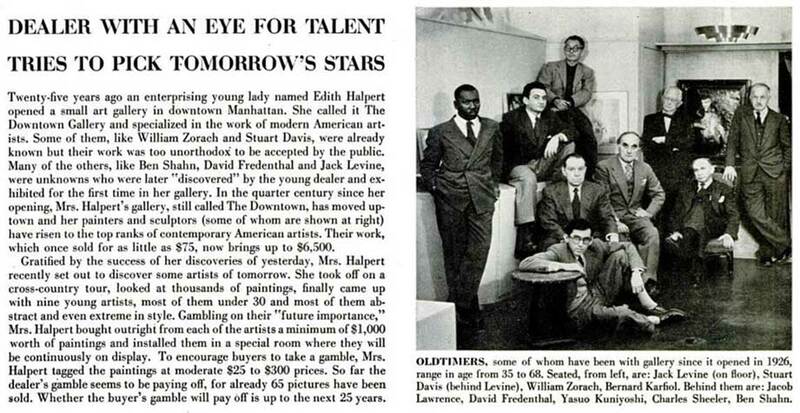 While in Southern California, Motherwell went to the Otis Art Institute on a scholarship. 1926 - 1929: Adolph Gottlieb studies at the Art Students' League and the Educational Alliance. 1926: Jackson Pollock's brother, Charles, moves to New York. The Gallery had opened in November 1926 as "Our Gallery" at 113 West 13th Street. The following year the name was changed to the Downtown Gallery at the suggestion of William Zorah. In April 1932 the gallery showed Lithuanian-born artist Ben Shahn's controversial Sacco and Vanzetti paintings. 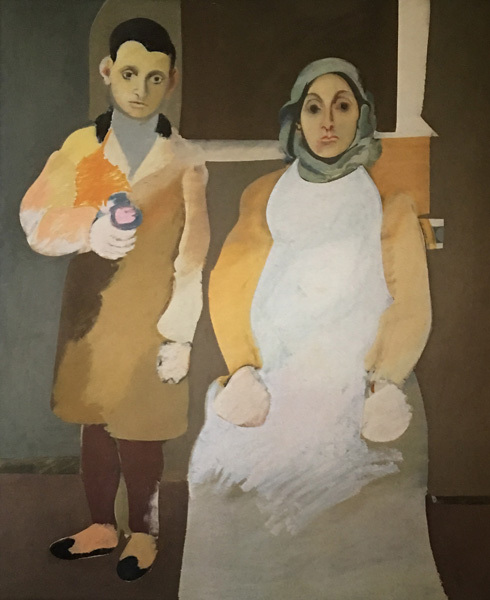 1926: Arshile Gorky begins painting The Artist and His Mother. 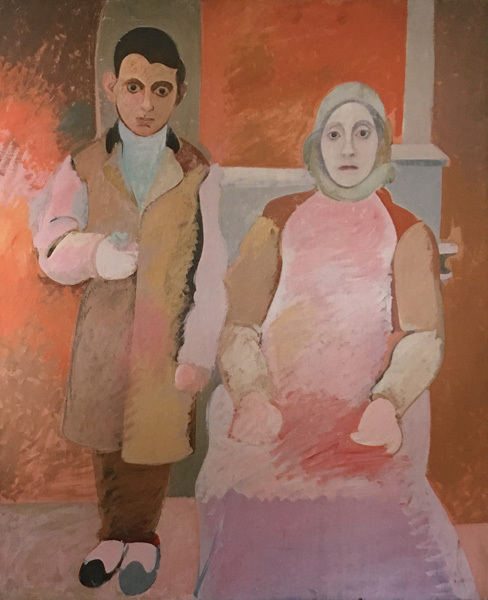 The Artist and His Mother (1926 - c. 1942) (Oil on Canvas, 60 x 50 inches) National Gallery of Art, Washington, D.C.
Two versions of the painting exist - one at the National Gallery of Art in Washington D.C. (finished in c. 1942) and one at the Whitney Museum of Modern Art (finished in 1936). The one in Washington has warm, almost terra cotta colours whereas the Whitney version has pale golds, ochre, green. (BA214) The colours are more solid in the Whitney version, with more abstract brushstrokes in the later version. May 1926: The first issue of The New Masses is published. The monthly publication was started by the former editors of The Liberator and the The Masses. It's goal was to "regularly interpret the activities of workers, farmers, strikers etc..." noting that it "must not be afraid of slang, moving picture[s], radio, vaudeville, strikes, machinery or any other raw American facts." It promised that "at least half of the pages will consist of pictures. These will be cartoons of our current political and social events, drawings of American life and also, though not ever predominantly, pictures that have no 'journalistic' value but are based on the emotion of art." Hugo Gellert and John Sloan served as art editors for the magazine. Drawings often featured American workers interacting with machinery such as construction workers and pneumatic-drill operators. Contributors included David Burliuk, Gan Kolski, Louis Lozowick, Jan Matulka, Morris Pass, Ribak, Boardman Robinson and William Siegel. Abstract designs often appeared on the cover or as illustrations including cubist cityscapes by Lozowick and Matulka, futuristic designs by Abraham Walkowitz and geometric designs by Lozowick. (VH) From 1936 to 1946, many of the cartoons in the magazine were by Ad Reinhardt. 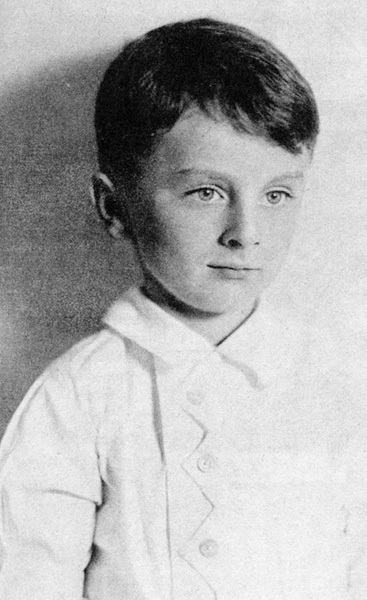 June 27, 1926: Frank O'Hara is born in Baltimore. Frank O'Hara's poems often make reference to Abstract Expressionists who he knew and socialized with. (His lovers included the New York School artist, Larry Rivers.) Frank arrived in New York in 1951 and shortly thereafter began working at the front desk at The Museum of Modern Art where, in 1960, he became the Assistant Curator of Painting and Sculpture Exhibitions. During the 1950s he could often been seen at the Cedar Street Tavern. In 1959 a monograph on Jackson Pollock by O'Hara was published as part of The Great American Artists Series. O'Hara died on July 25, 1966 after being hit by a beach buggy on Fire Island during the early morning hours. July 30, 1926: Willem De Kooning arrives in the United States. See Willem de Kooning leaves Holland. According to the Jackson Pollock chronology published by The Museum of Modern Art in Jackson Pollock , Jackson enrolled in the "Manual Training School" in Riverside, California after graduating from Grant Elementary School and before enrolling at Riverside High School in the autumn of 1927. The Manual Training School in Riverside should not be confused with Manual Arts High School which Jackson attended beginning in September 11, 1928 after dropping out of Riverside High School in March 1928. September 1926: Franz Kline enrolls in Lehighton Junior High. The New York Evening Post featured an article about Gorky being appointed as an instructor at the Grand Central School of Art. The article was titled "Fetish of Antique Stifles Art Here, Says Gorky Kin." 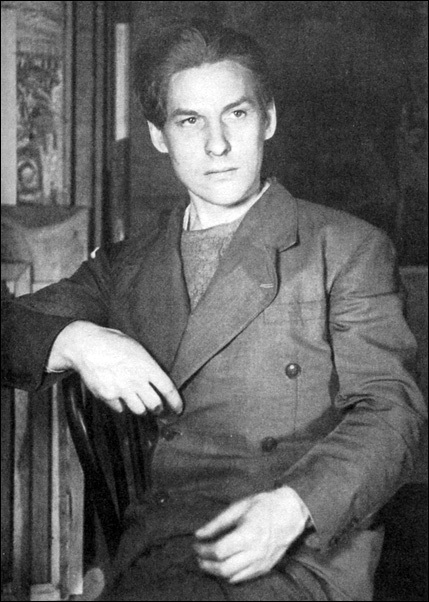 The article referred to Gorky as "a member of one of Russia's greatest artist families, for he is a cousin of the famous writer, Maxim Gorky," adding "But Arshele Gorky's heart and soul are still his own." (BA150) Given that Gorky was not the cousin of Maxim Gorky (although he claimed to be such) and had never met him or his family members, it's not surprising that his "heart and soul" remained his own. November 18, 1926: “An International Exhibition of Modern Art Assembled by the Société Anonyme" at the Brooklyn Museum opens. A list of Société Anonyme exhibitions in the 1920s can be found here. Organized by Katherine Dreier, with help from Marcel Duchamp, Léger, Kadinsky, Campendonk, Kurt and Helma Schwitters, Alfred Stieglitz and Anton Giulio Bragaglia, the exhibition at the Brooklyn Museum attracted more than 52,000 visitors and featured 308 works by 106 artists from at least 19 different countries, traveling to three other cities after finishing in Brooklyn. Four galleries in the exhibition were made up to look like rooms in a house in order to illustrate how modern art could be incorporated into the modern home. A television room designed in conjunction with Frederick Kiesler, who would later design Peggy Guggenheim's Art of This Century gallery, showed how any home could be a virtual museum with masterpieces (on slides) available at the "turn of a knob." Eighteen lectures were presented during the course of the exhibition - fourteen by Dreier herself who also had two of her own paintings in the show. 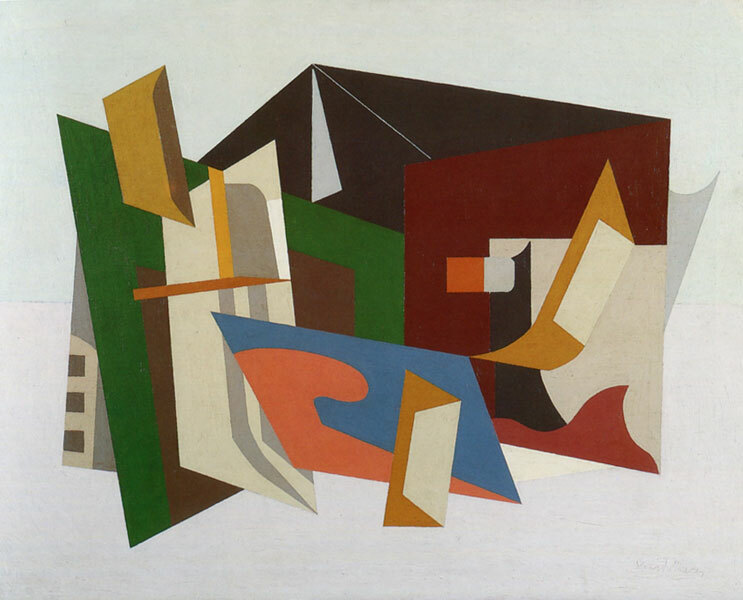 Stuart Davis was represented by Still LIfe with Super Table (1925) - a work which may have been inspired by a 1919 painting by Picasso published in The Arts magazine in the United States in 1925. Davis had written to Dreier on September 25, 1926, about two months before the show opened, telling her that "Burliuk saw my work and said I should be in the show. I would like very much to be a member of the Societe and will do anything you may suggest to make it possible..."
1927 - 1928: Franz Kline's freshman year at Lehighton High School in Pennsylvania. 1927-1928: Stuart Davis paints his Egg Beater series. 1927: The Gallatin Gallery of Living Art opens at Washington Square in Greenwich Village, New York. 1927: Barnett Newman graduates from City College of New York. June - July 1927: Jackson Pollock works at the Grand Canyon. Autumn 1927: Jackson Pollock enrolls at Riverside High School. December 11, 1927: Jackson Pollock's father apologises to his son.